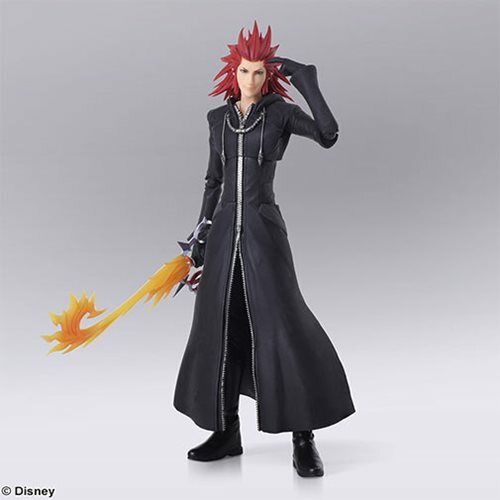 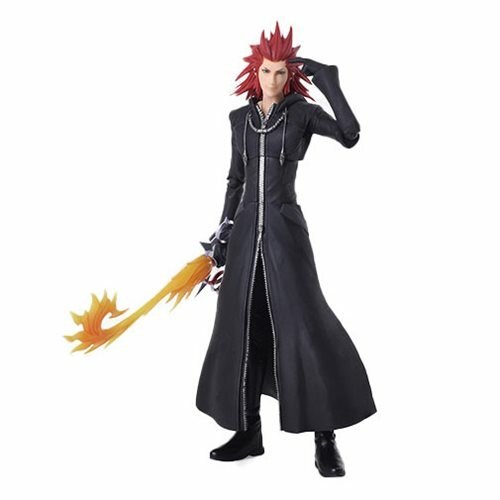 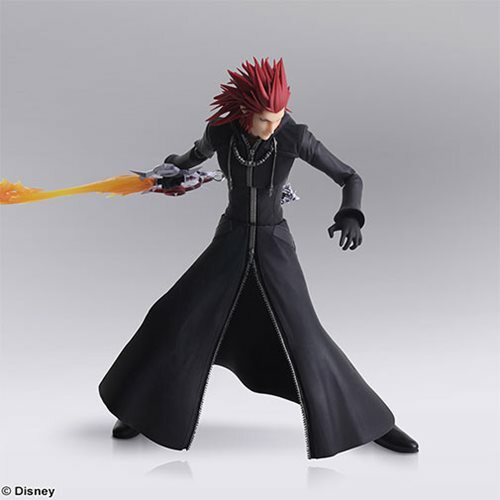 Axel, the former Rank VIII member of Organization XIII, is now available as a Bring Arts figure. 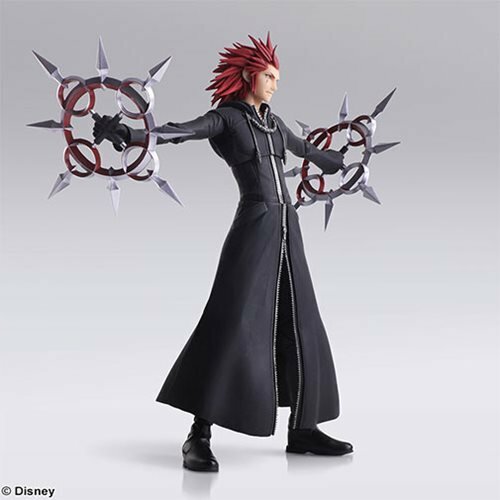 Having returned to his original self, he now trains as a Keyblade wielder to stand alongside the guardians of light he once fought against. 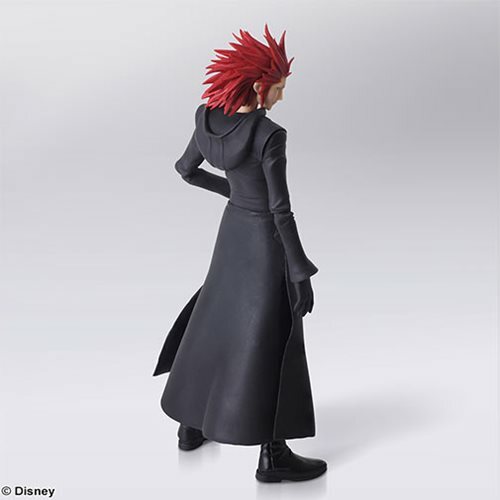 The detailed sculpt of Axel's slender silhouette and texture of his coat faithfully recreate his distinctive look. 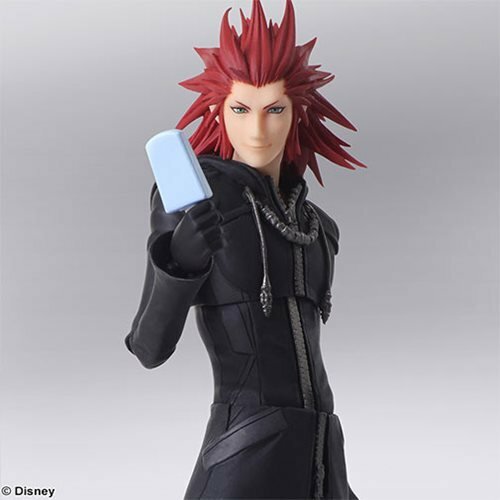 He comes with 1x alternate head, 6x hands, and 3x of his beloved sea-salt ice cream bars. 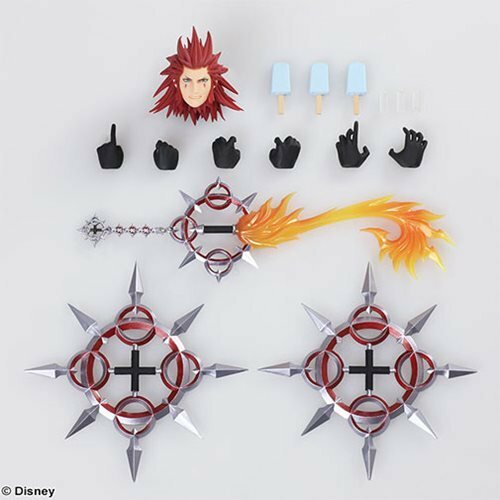 Axel also brings along his two signature weapons, his chakrams and Keyblade, the latter designed with a translucent and shaded finish for added visual detail. 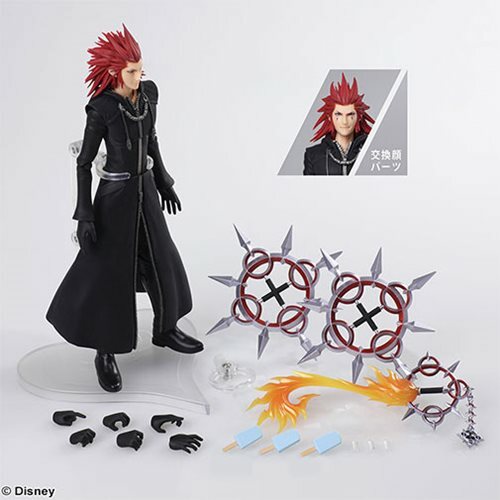 Figure includes display stand. 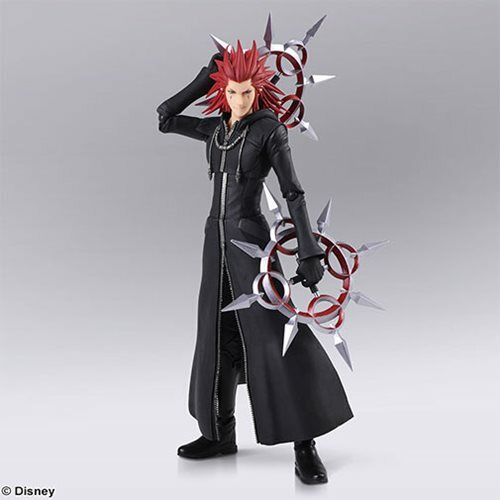 Measures 7-inches tall.